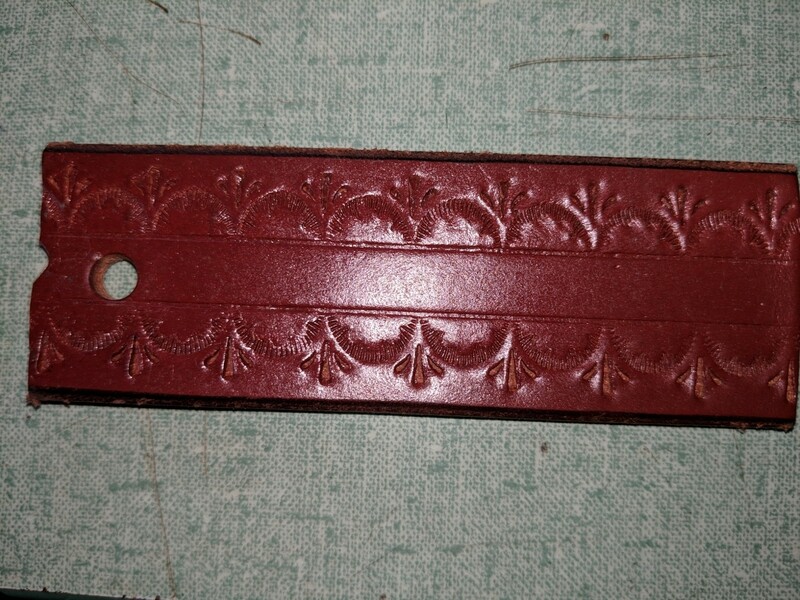 This is a Amish made leather belt. Hand sewn and stamped with the pattern. Holes run approxametly the last 4 inches of the belt. You may select a buckle color from the drop down menu. The belt pictured here is 20" in length, 1.5" width, however, lengths up to 50" are available for selection in the drop down menu. Any length will maintain the same black with barbed wire pattern and hand sewn edge. If you do not see the length that you need additional lengths are available at $0.75 per inch, please call or email to order (sales@shopsmallfarms.com). Each belt is handmade in Sherman Maine by the Amish Farm and Tack shop. Additional colors and patterns are available, please see the other listings from this farm. Colors and pattern may vary slightly from photo as each is hand made per order.